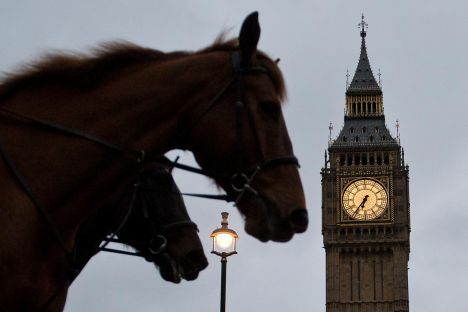 As the Parliament of the United Kingdom is opposed to a no-deal Brexit that is nearing on April 12, British legislators will on Friday vote on the country’s withdrawal deal from the European Union. This time they will only vote on the agreement. British public broadcaster BBC reports that the vote will take place on Friday, March 29. The country’s Prime Minister Theresa May was essentially asking MPs to turn it into a game of two halves – just voting on the first part of the deal which sorts out the UK’s departure and leaving the longer term part for the next few weeks. This time it is not considered the third meaningful vote on the deal, as it will not include a vote on the declaration, which sets out UK’s possible future relationship with the EU. Leader of the Parliament’s House of Commons Andrea Leadsom from the ruling Conservative Party has explained that this vote was «crucial» if the UK wanted to secure a Brexit delay until 22 May.